A book could be written about the farming practices at Avondale! 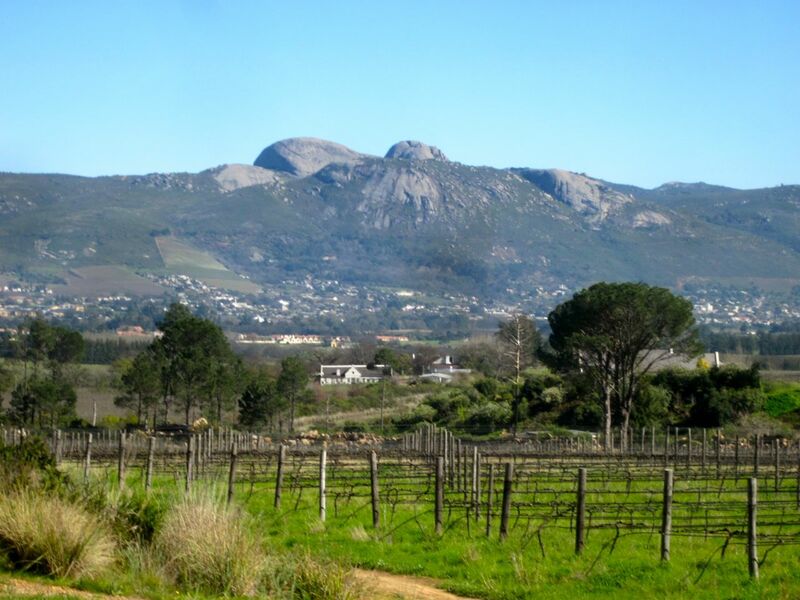 Avondale is one of the oldest estates in the Paarl Valley. In 1997 the John & Ginny Grieve (who own Vital Foods) purchased Avondale. In 2000 tragedy struck when a devastating fire cleared the estate. However, out of something harmful came an opportunity. Their son – Johnathan Grieve – rose to the challenge and used the “clean slate” to start trying to restore the nutrients in the soil by using BioLOGIC practices – a term he coined for turning towards Green practices which included the use of Organic and Biodynamic practices. Johnathan has always had green fingers and has apparently been planting things since age 3! Avondale is open for public tastings – and give you a wonderful introduction to the philosophy of the farm and explain what organic and biodyanamic farming practices are, while you are tasting their wines. 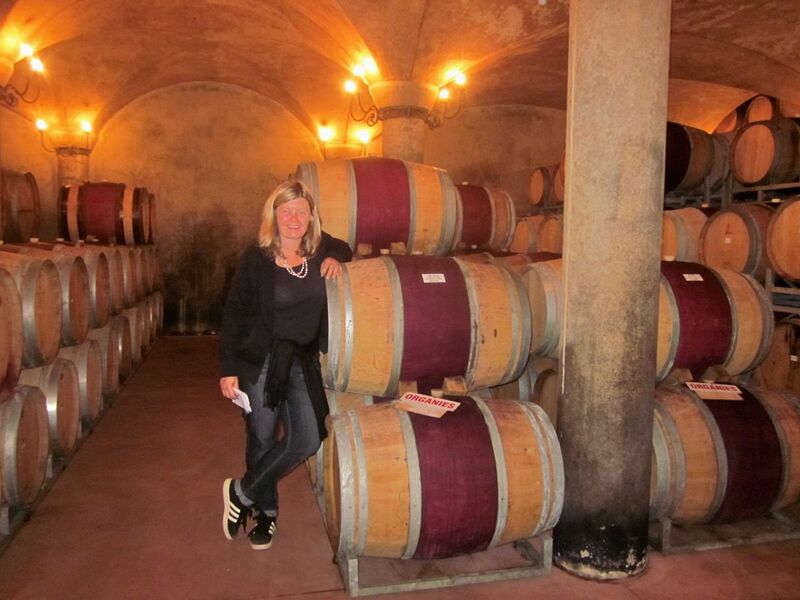 However, to get a fuller appreciation of the estate and its practices, it is great to book for their vineyard tour. The tour lasts between 2 and 3 hours and includes a drive on the back of a truck around the farm, stopping at various points to do wine tastings. 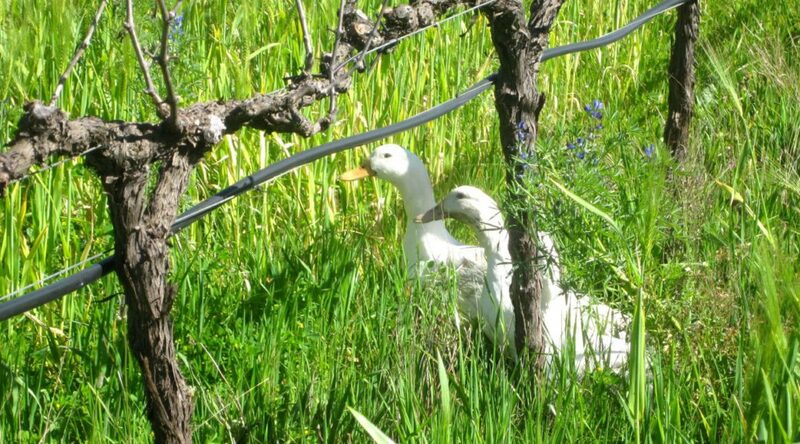 You stop to visit the ducks and then head into their gravity fed cellar to learn more about their wine making principles. The cost for the tour is R250 per person. The first stop for wine tasting was at the top of the farm at the dam, a grand vantage point that offers sweeping views of the valley. 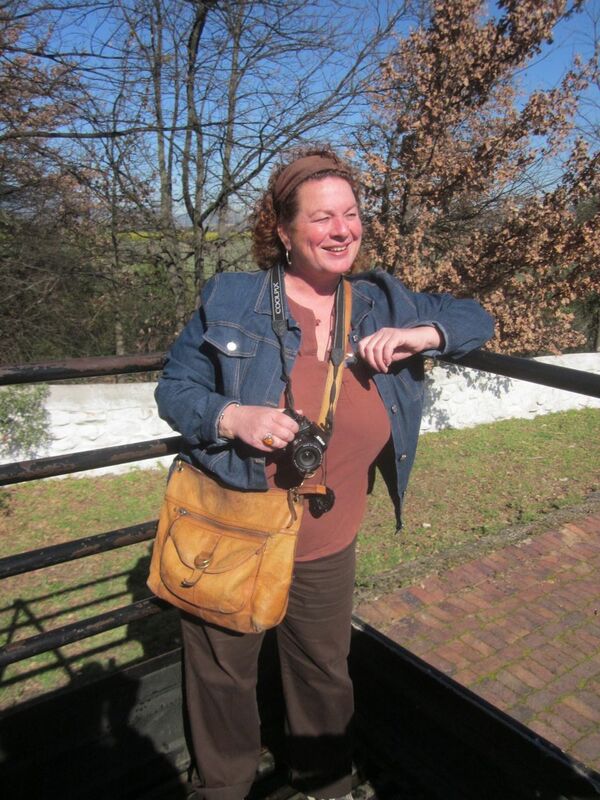 During the tour Caelli acted as our guide. 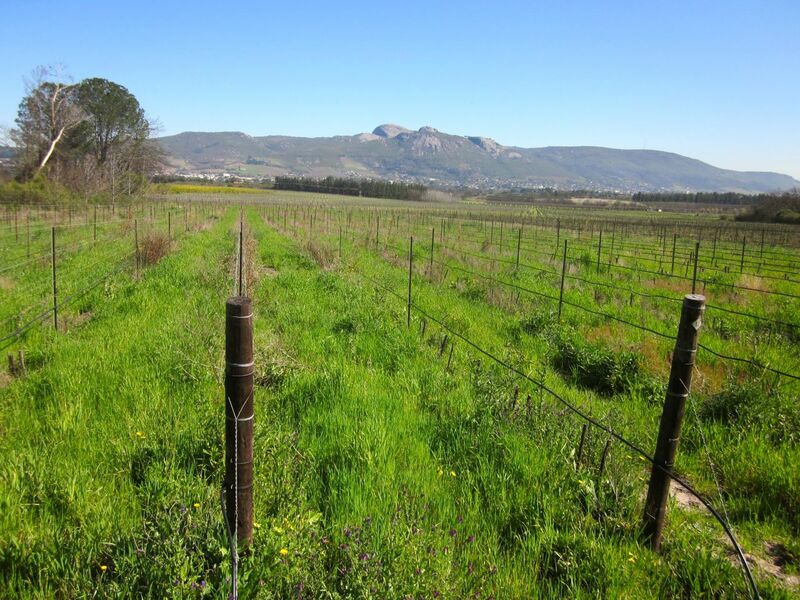 We visited in winter – so the vines are all currently dormant. It was fascinating passing the homes, the plum trees, the veggie patch with a fun scarecrow and learning about their “natural practices”. 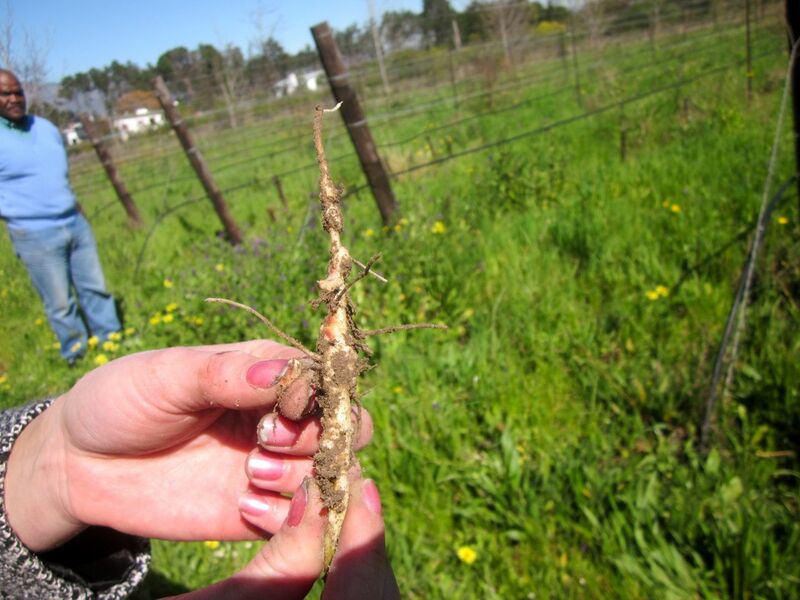 The natural practices extends to everything they do: From not using pumps to move water, through to planting 5 different cover crops in winter to do different jobs such as returning nutrients to the soil through to Nitrogen fixing, through to only using natural fermentation practices and building a gravity fed cellar. The cover crops looks beautiful! Great that they are functional too! 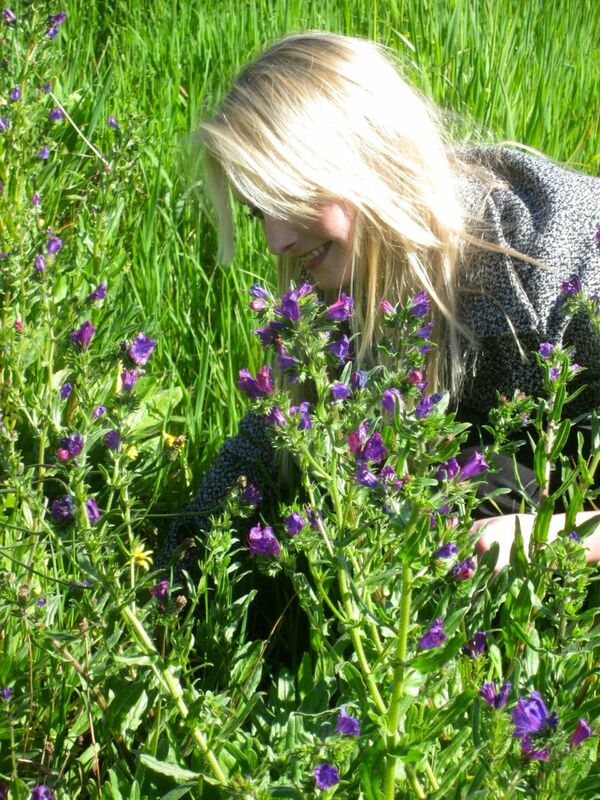 Caelli looking for nitrogen fixing plants to show us! Fruit Phase: This will bring out the fruitiness in the wines – wines can taste jammy! So check what phase you are in when booking! Aim for the Flower period of the month! 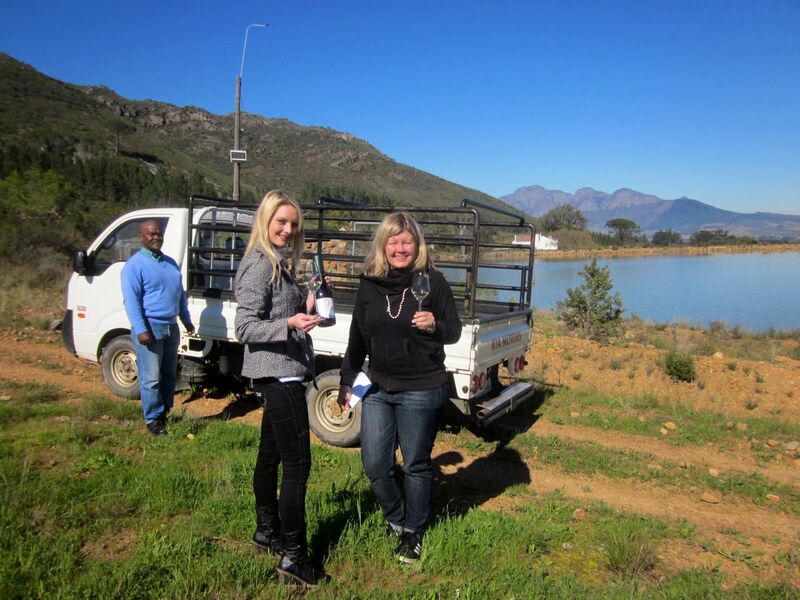 The truck for vineyard tours – you need to be able to climb up! 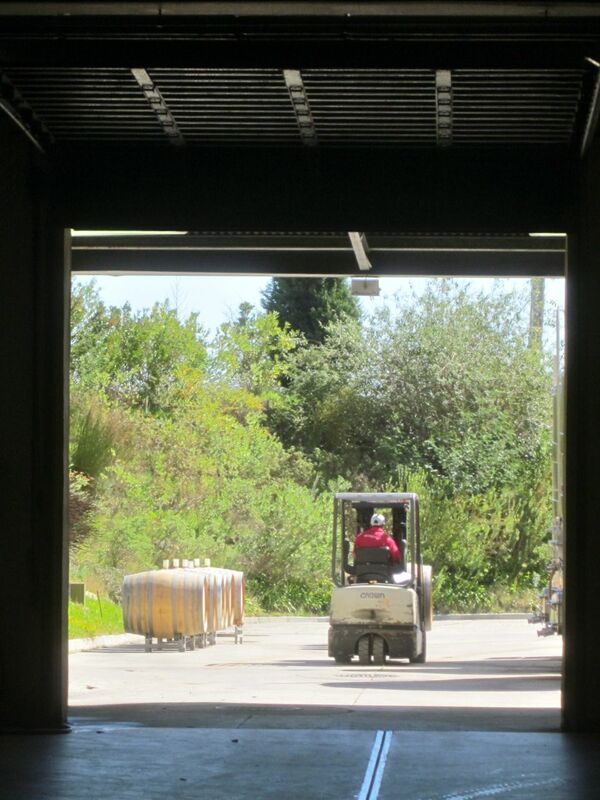 The wine making process is a slow and natural process on the estate. They do not add yeast and rely on the natural yeast from the grapes for fermentation. This process is risky and takes more time for fermentation to happen. The philosophy is to do things naturally – but also properly. Consequently the wines are at a premium price level in the market. 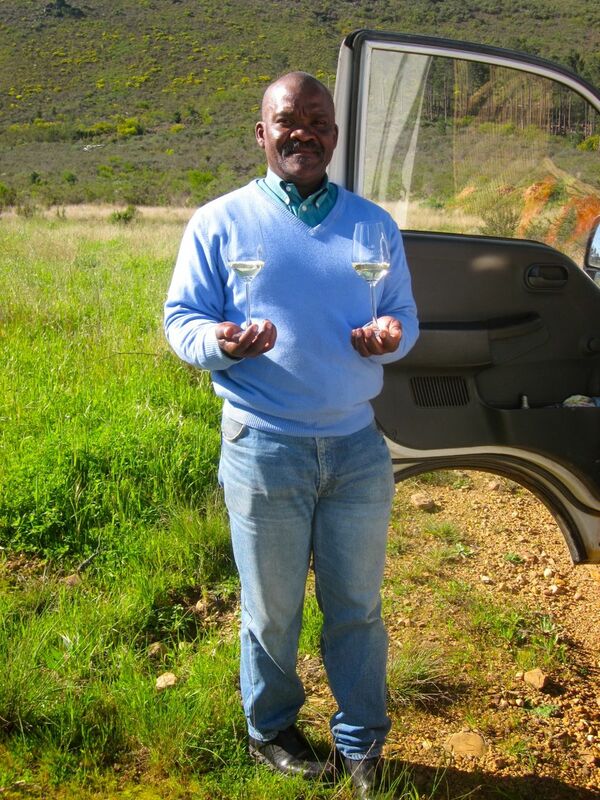 In my opinion, these are the highest quality organic wines you will find in South Africa. I fell head over heals in love with their Champagne (called Methode Cap Classique or MCC in South Africa) – and had it been a little cheaper – I would have been loading crates into my vehicle! All of the whites were wonderfully complex and interesting. I enjoyed the Chenin Blanc and the Viognier blend. Syrah is one of my favourite varietals and their Syrah was fabulous. 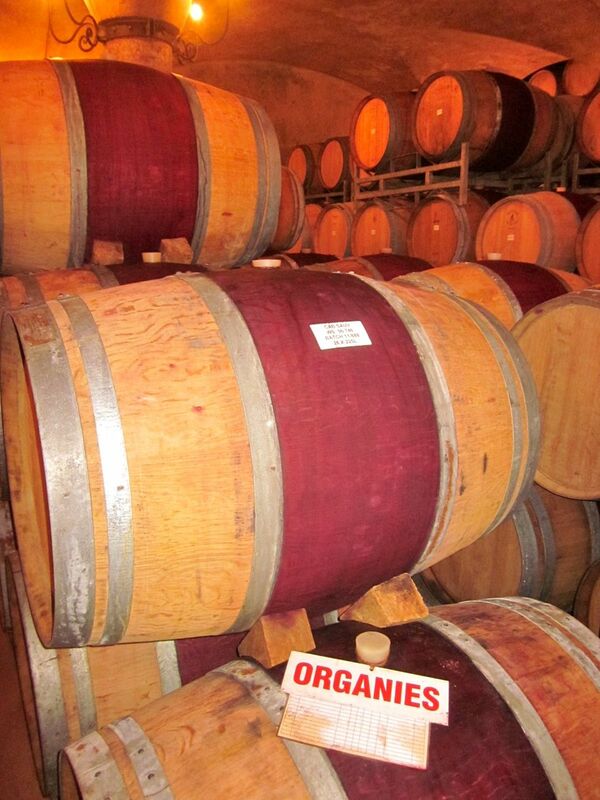 Note that they use a very low level of Sulphur in the production of their wine – half of the normal amount. I mention this as many people always ask me where they can find low Sulphur wine. So here is the answer! Each year Avondale takes on 100 ducks that work very hard to eat all of the snails on the farm. These ducks work from morning to 5pm. As there are predators in the area – they learn to literally walk the plank from the DUCK MOBILE from an early age. 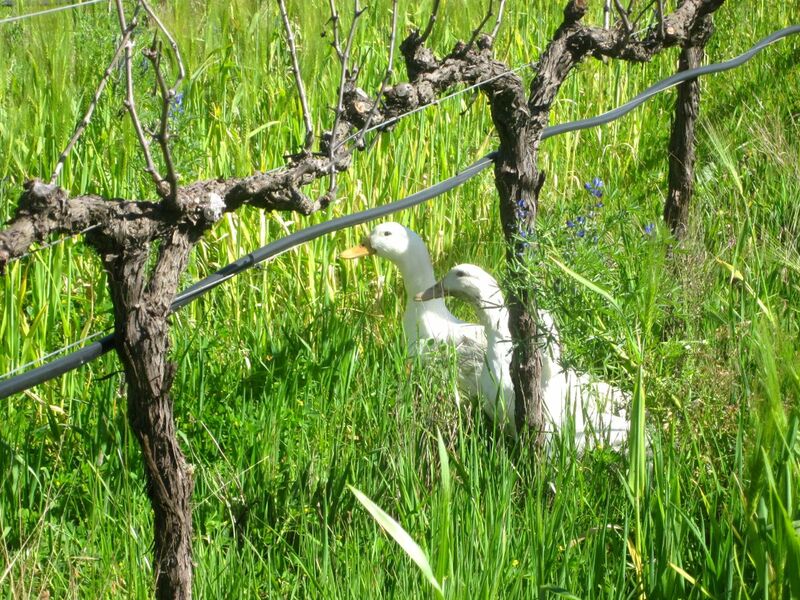 Each day their duck minder takes them out to different vineyards in the morning and back to their “home” at night. It was really amusing watching them trying to waddle through the thick cover crop! In addition to the Ducks, Avondale also introduce wasps to eat the Mielie Bugs when they find them. The wasps don’t seem to become a pest as once they have finished eating them, their food source disappears and they then disappear! 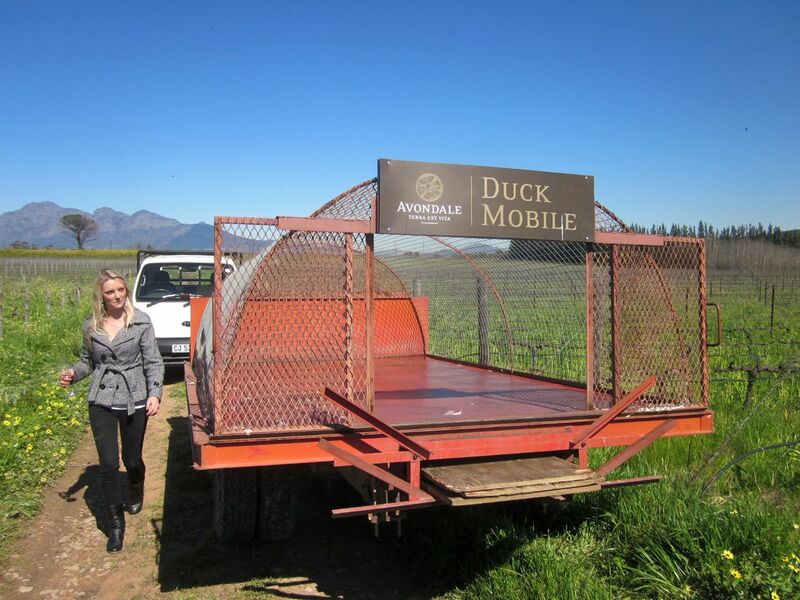 The Avondale Duck Mobile – the ducks get to walk the plank twice a day! 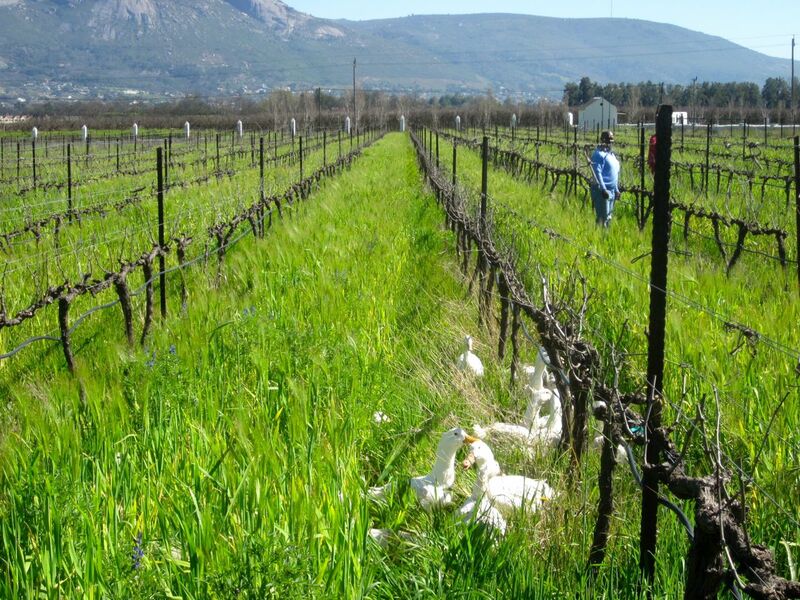 The Ducks hard at work in the cover crop! They have a full time duck minder! After our visit to the Ducks we headed into the cellar. I loved watching them take the Chardonnay barrels out into the sun to heat them up and roll them – apparently this assists with getting the natural fermentation going! Fabulous – I had never seen this before! Avondale Rolling the chardonnay in the sun to assist with kick starting natural fermentation! Cape Town 4 Foodies and Wino's, Cape Winelands, The Cape for kids and families! Douglas Green Wines – fantastic value for money…..ahhhhh Douglas Green!